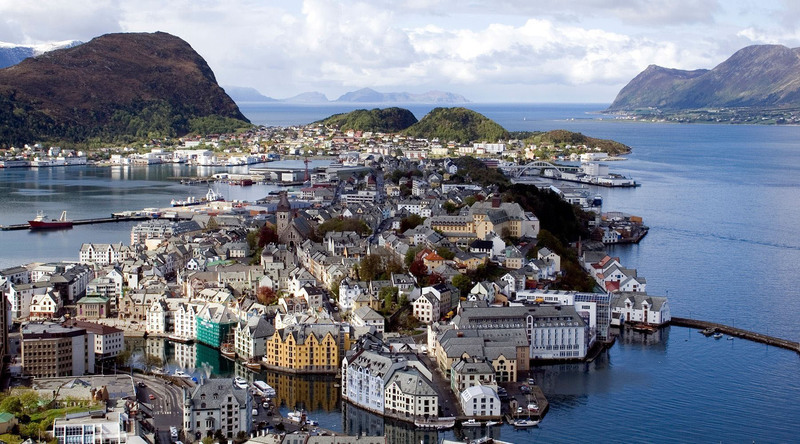 Just a stone’s throw away from the spectacle of Geirangerfjord, Alesund is renowned for its architecture, where turrets, spires and other whimsical Art Nouveau touches give the town its distinctive character. From the heart of town, 418 steps lead up to the lookout point on Mount Aksla, which offers splendid views of the town center, the fjords, and the rugged Sunmore mountains. Be sure to refuel with coffee, cakes, and light snacks at the Fjellstua (mountain lodge) before the hike down. Explore Norwegian coastal culture at this open-air museum. Over 50 well-preserved buildings represent various architectural styles and lifestyles in Norway. The boat collection is quite extensive and includes old Sunmore boats—considered to be the most seaworthy vessels on the Norwegian coast. The largest aquarium in Scandinavia, this aquarium has been built into the coastal landscape and has been adapted to feature modern exhibition principles. Large landscape aquariums teem with ocean life from the Atlantic providing a glimpse into life beneath the waves.